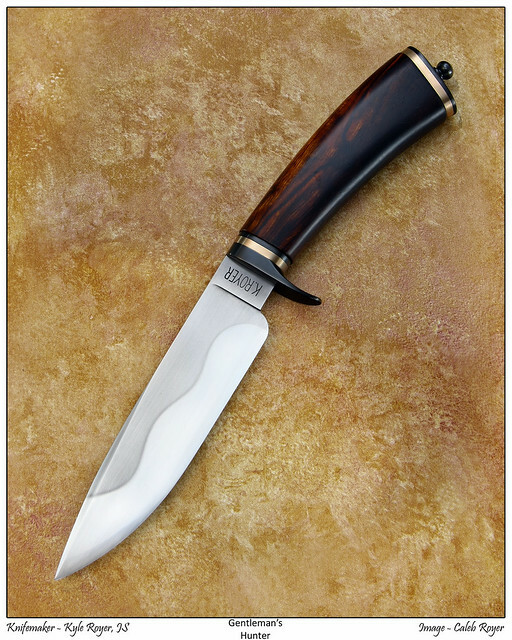 Here is an integril with a 6″ gun blued blade. 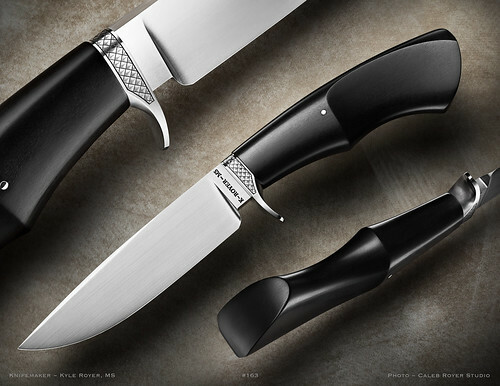 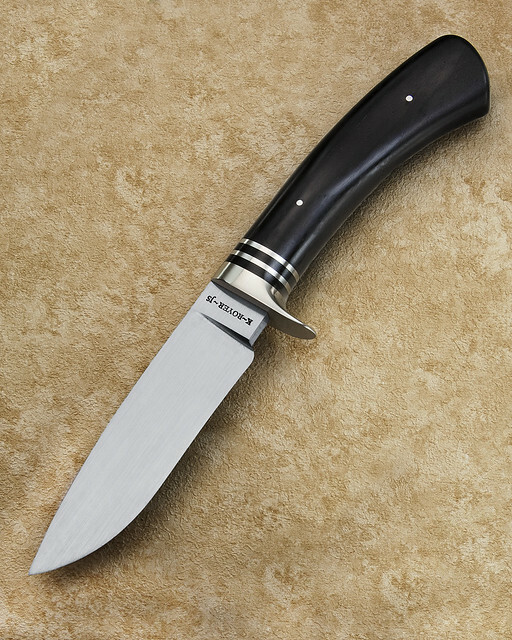 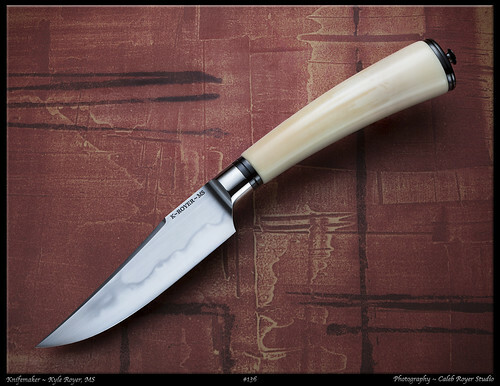 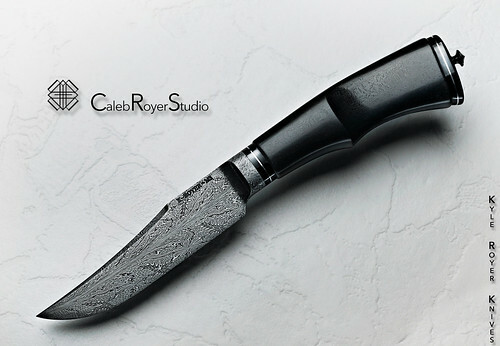 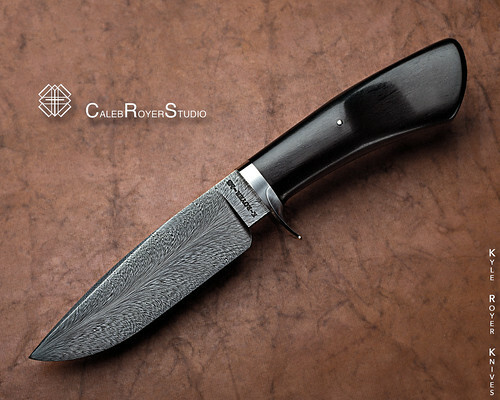 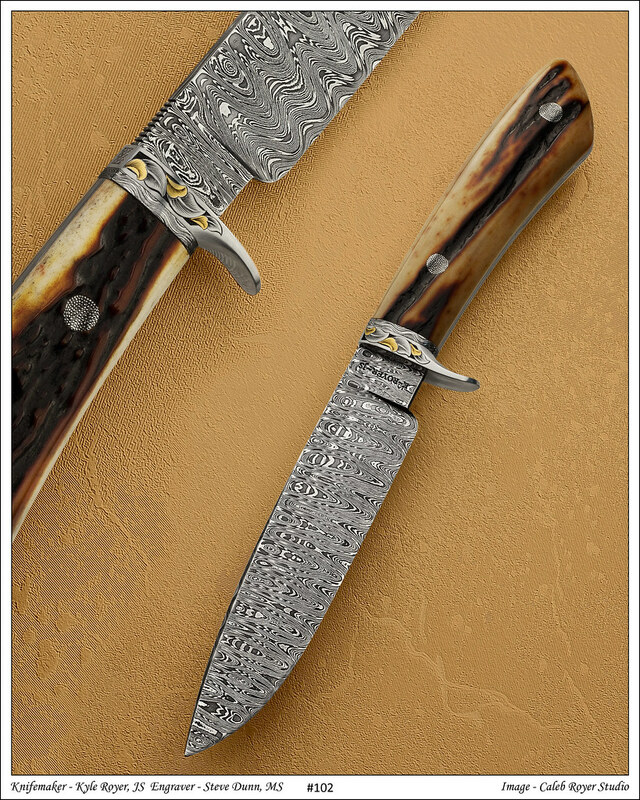 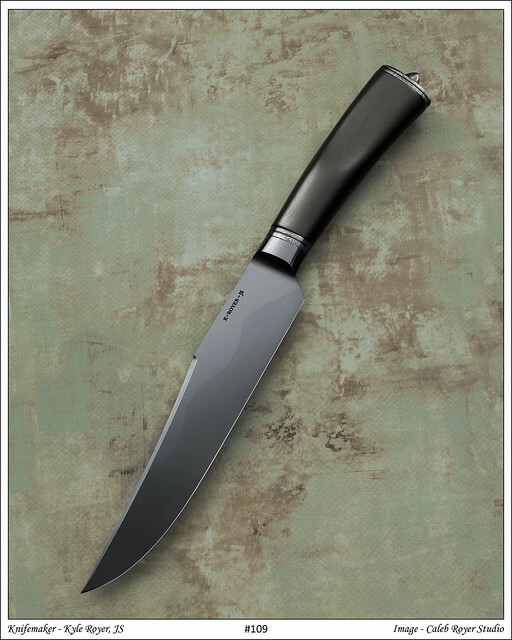 The 4” Blade was forged from a ¾” W-1 bar and features a hamon and 2400 grit finish. The handle is ebony. 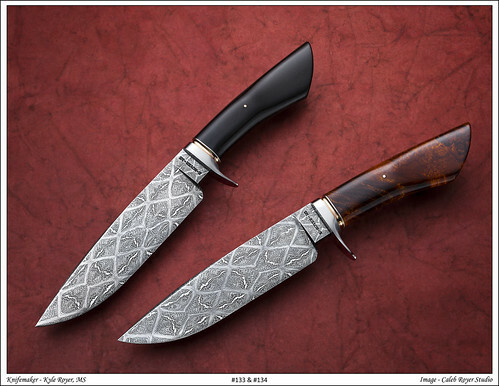 The fittings are of two bar “W” Twist Pattern Damascus and have small accent grooves around them. 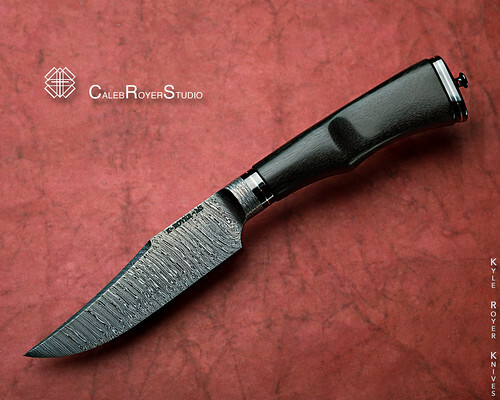 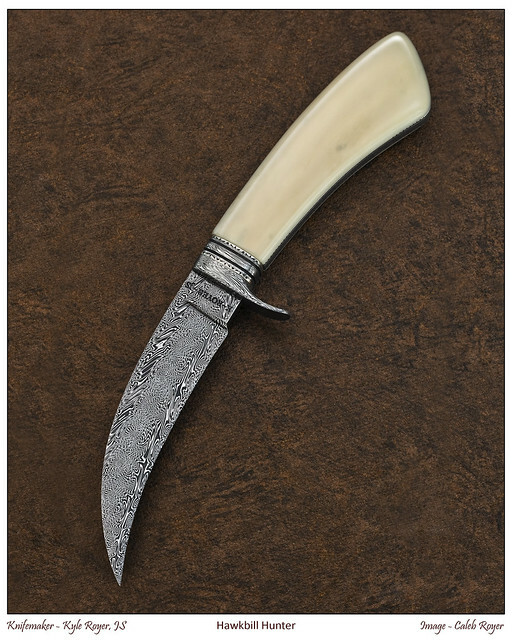 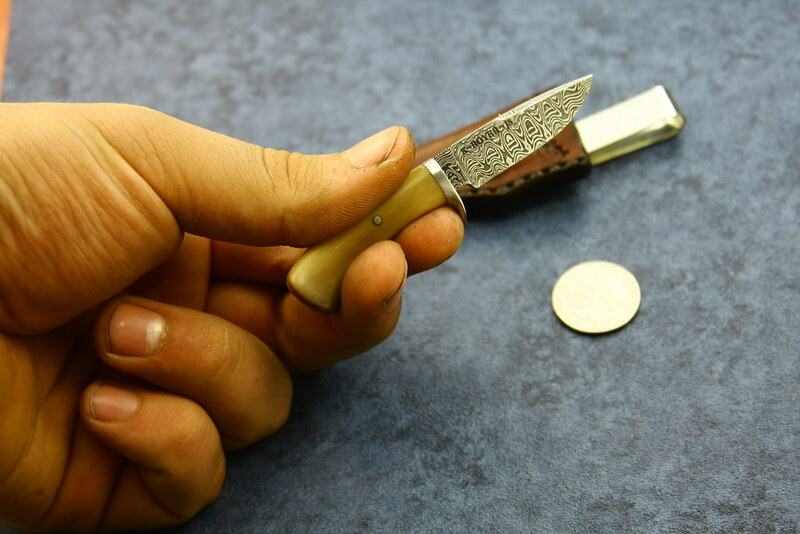 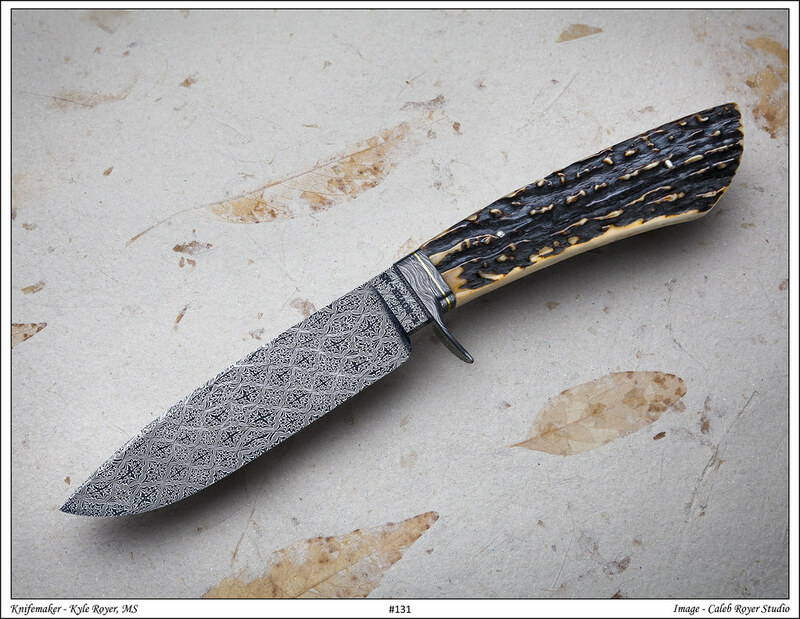 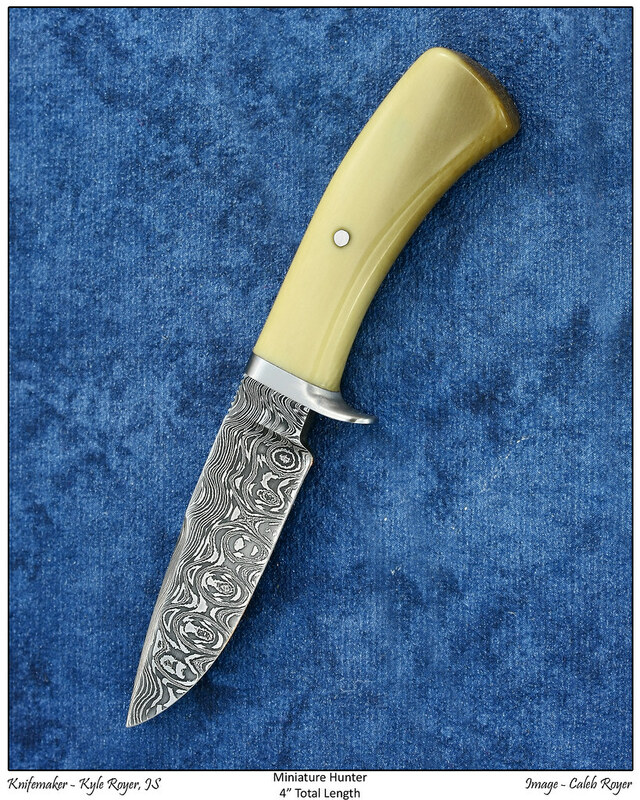 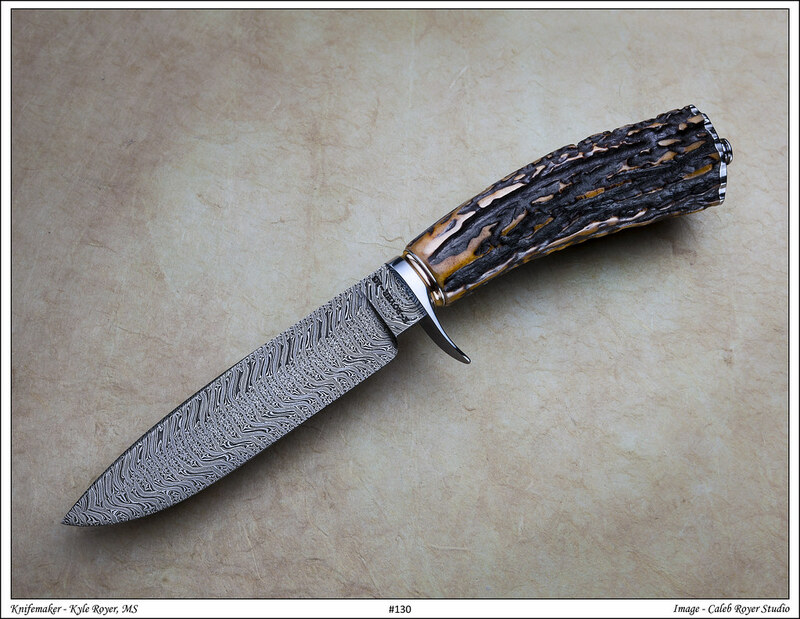 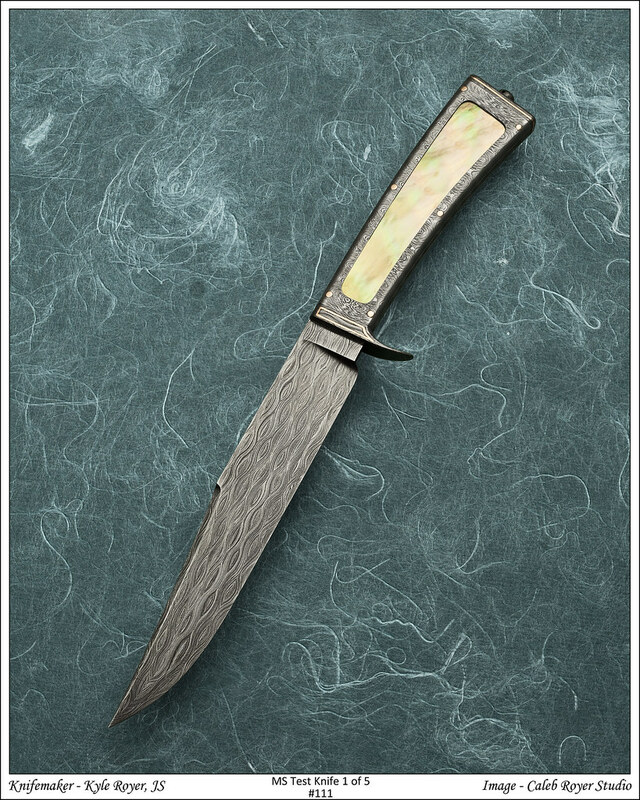 Here is one of the five knives I am making for my Journeyman Smith Test. This one is the simplest one that I’ll have and the next one will be the most complicated one I’ll make for the test. 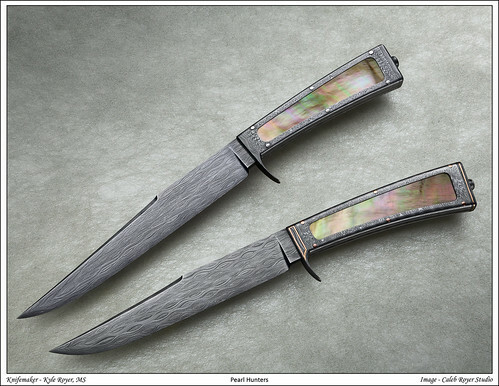 The 5″ blade is forged from 5160. 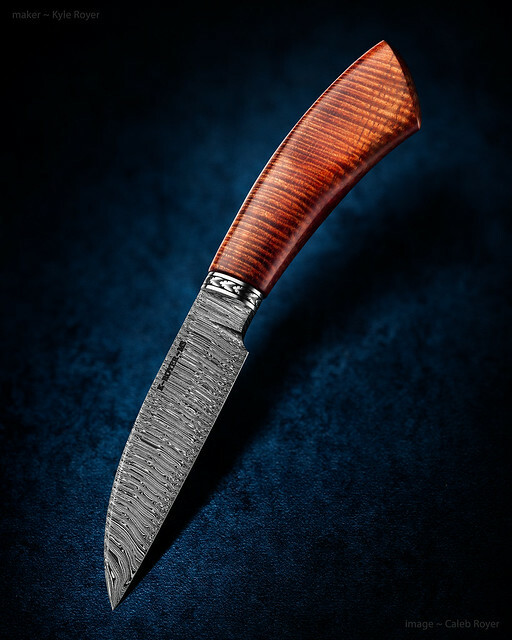 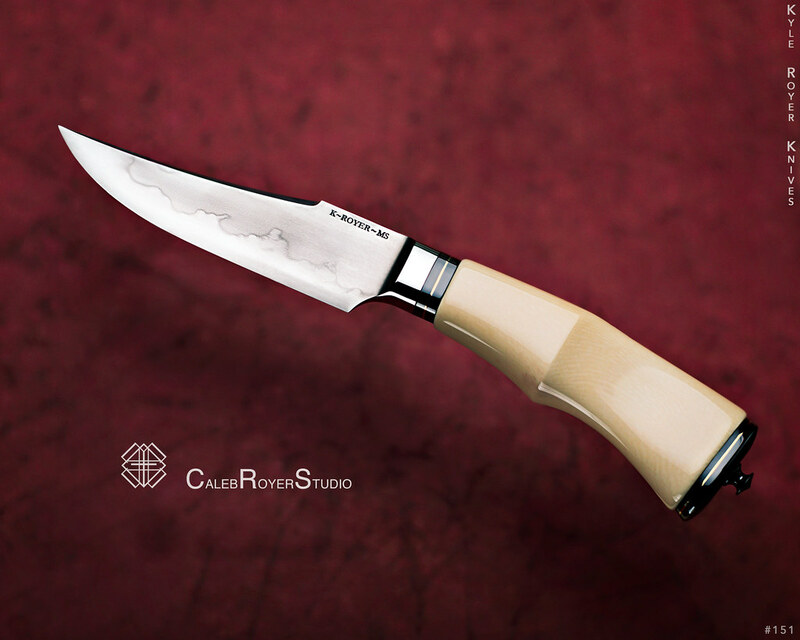 The handle is made from Desert Ironwood. The fittings are of German Silver. 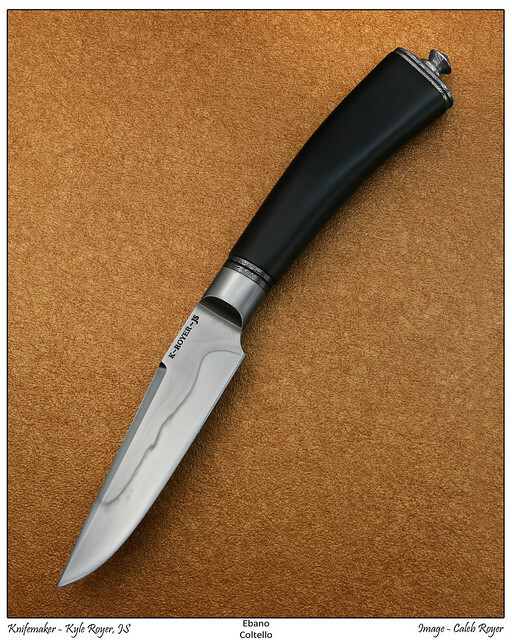 The handle length is 4 1/2″. 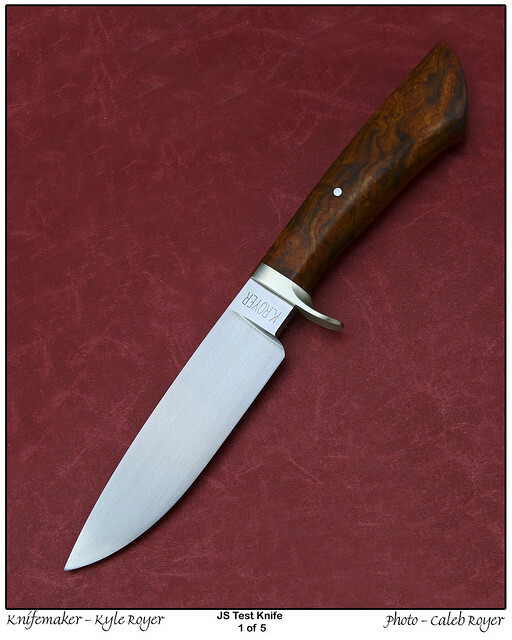 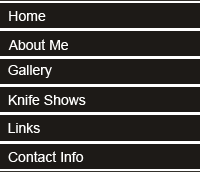 The next one I am making is going to be a D-guard Bowie with a 12″ blade. 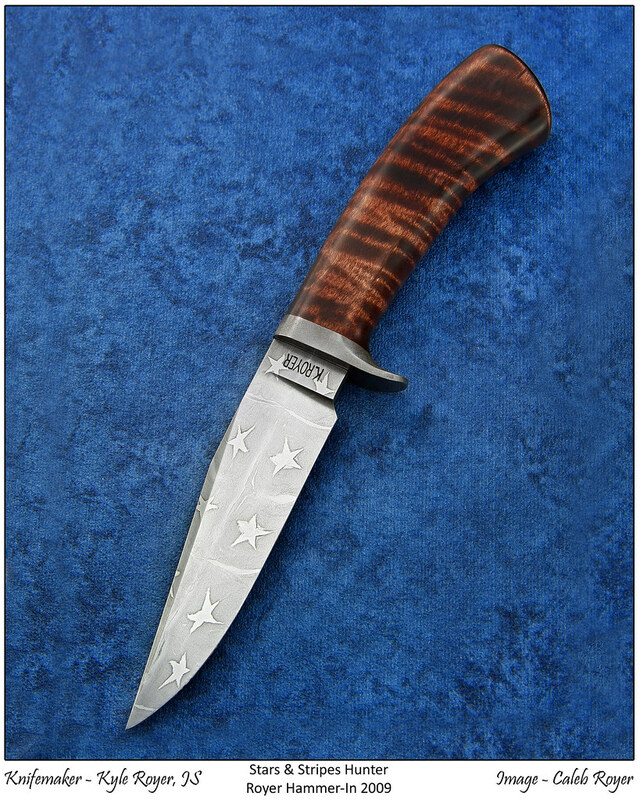 Then I’ll make one more bowie and two fighters of some sort.